THIS IS THE FIRST PART OF THE IMPERATIVES. I HAVE SENT IT AS PPT BEFORE BUT I THINK IT IS MORE USEFUL AND FUNCTIONAL AS WS. THIS PART IS ABOUT THE FORM OF THE IMPERATIVE AND THERE ARE 2 EXERCISES(KEY INCLUDED)HOPE YOU LIKE IT. HAVE A NICE WEEKEND! THIS IS THE SECOND PART OF THE IMPERATIVES. THIS PART IS ABOUT THE USES OF THE IMPERATIVES. EXERCISES ARE IN THE 3RD PART.HOPE YOU LIKE IT! HERE IS THE LAST PART OF THE IMPERATIVES. IN THIS PART THERE ARE 2 EXERCISES ABOUT THE FORM AND USES OF THE IMPERATIVES(KEY INCLUDED). HAVE A NICE WEEKEND! 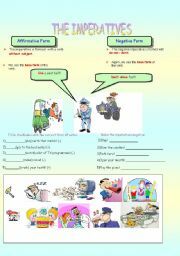 IT�S ABOUT FORM AND USE OF SIMPLE PAST TENSE. IT ALSO INCLUDES SOME EXERCISES. HOPE YOU LIKE IT! HAVE A NICE SUNDAY! 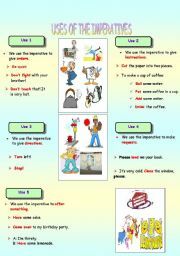 information about the uses of the imperatives with colorful visuals and examples. 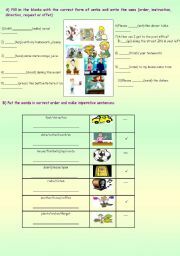 AN EASY BUT A USEFUL EXERCISE ABOUT COUNTABLE AND UNCOUNTABLE NOUNS.HOPE YOU LIKE IT! HAVE A NICE WEEKEND! DO YOU WANT TO BE A WINNER AT SPORTS? HERE ARE THE TIPS ON HOW TO BE A GOOD SPORTSMAN WITH THE USE OF IMPERATIVES. HOPE YOU LIKE IT! HAVE A NICE WEEK!